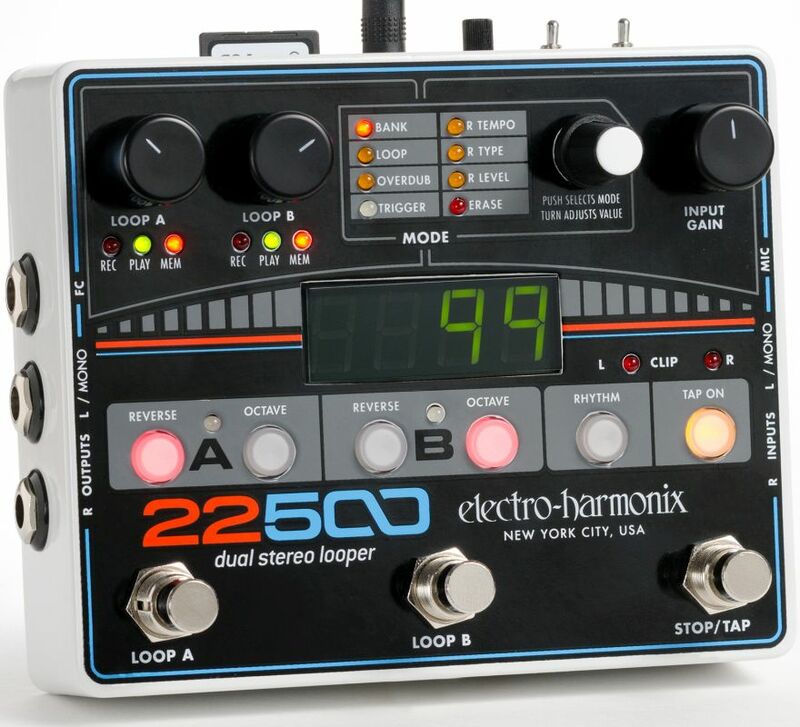 Electro-Harmonix have a new looper out, introduced last week in Nashville, that I suspect could be a really big hit. The winners: dual stereo operation, loads of recording space, and then easy connection via USB so a looped improv today could be the beginning of a track tomorrow. Oh, and it’s not expensive, either. When it comes to looping in live performance, most folks haven’t taken to the computer as much as the standalone looper, particularly BOSS’ LoopStation line. And that’s with good reason: you want dead-simple operation so you can focus on playing. The heart of the idea is giving you access to two loops. And their implementation couldn’t be simpler. 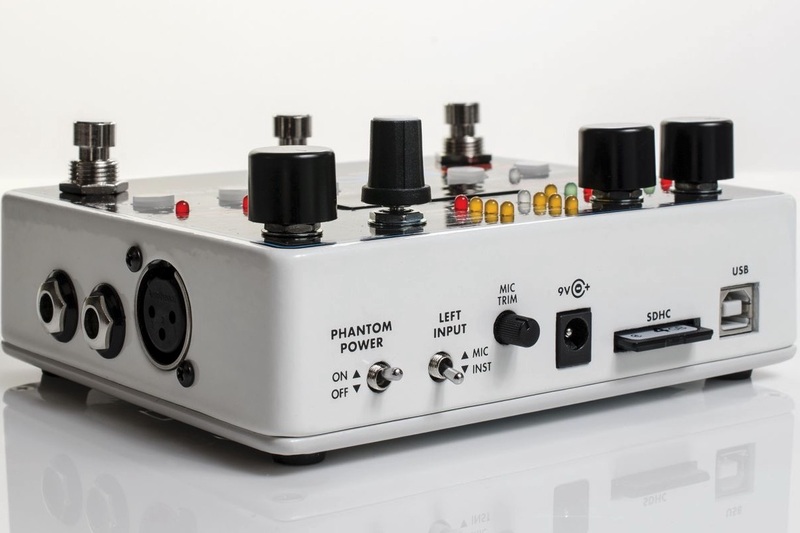 There are two footswitches, one for each loop, so you can record, play back, or overdub on each loop with your foot – tap once to start, tap twice to stop. You can use those individually or link them together, with separate mix controls for each. Up to 100 individual loops, selected by knob. There are also different looping modes: in series, in parallel, quantized rhythms, free-form looping, unlimited layering, and the ability to undo. 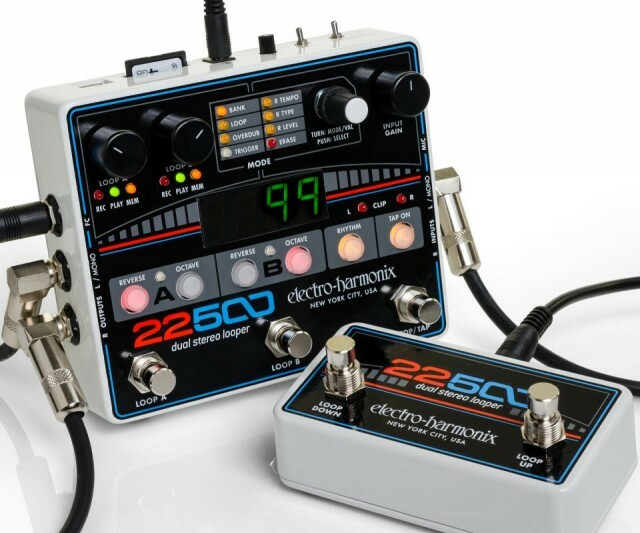 This being Electro-Harmonix, it’s made in the USA and comes in a metal case. US list is US$359.97. If you want the additional foot controller, that’s another US$117.15. (Uh… odd pricing there, but okay! I’ll be glad they didn’t set it to $119.99 and buy myself a medium coffee.) That’s running about 270€ street with tax in Europe. I’m not a guitarist, and I kind of want one. This was first mentioned in Germany, but now gets its formal release. You’ve got a lot of looper choices, including others even from E-H. Their fanciest is the 4-channel 45000 multi-track looping recorder, though I suspect for some dual stereo will be enough. Which looping hardware are you using? Or are you using software? Let us know in comments.